Home General Used Cars, A Veritable Source Of Money. 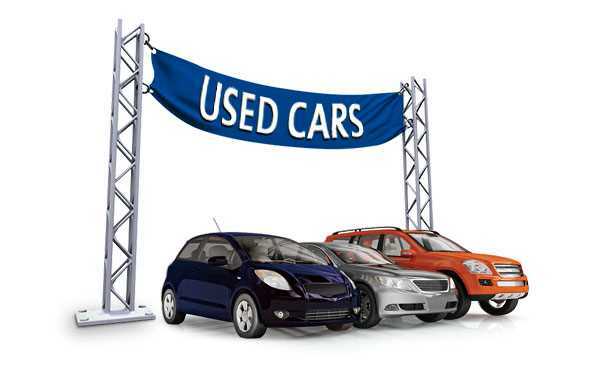 Used Cars, is A Veritable Source Of Money. With rising costs of cars and ban on cars older than 5 years getting into the country, market for used cars will expand. There is no special education needed for this job except that you have to love cars and know a bit about car repairs. We are saying this because, one, you must know what you are buying and two, you may need to touch up some cars before you put them on the stand. If you do not have this skill, you can have a mechanic as friend or take one as partner. To make good profit, you have to buy well. You must know cars. By this, I mean by mere igniting the engine and raving it, you must be able to ascertain the condition of the engine to some degree of certainty. Bodywork is equally important. In some instances, the condition of the body will determine how much you pay. You cannot sell used cars in one corner in your residential area. You have to locate on a major busy road. There is no alternative to this. The price depends on what you bought. In this business, you have to be friendly with fellow dealers, as they will bring customers to you when they do not have the type of cars needed by their customers. For deals like this, there is usually a commission they collect, which you have to factor into your price. Sometimes, people will bring cars to you to sell but at other times, you will have to search. I know some people in Ibadan who go to the interiors of Osun and Ekiti states to get used cars and good bargains they do get. You will also be friends with government auctioneers to buy from them when auctioning. Except when you are buying, people giving cars to you to sell will have to wait until after the sale. MARKETING. Your stand is your best advert. Arrange your cars neatly and wash them up now and then. Be neat yourself and be courteous to callers. When you make a sale, follow up with a call to ask how the car is performing. If there is anything you can do, do it cheerfully. Such customer will recommend you to others. I do not have to tell you that it is part of your job to perfect the papers. If your customer needs accessories such as battery and extra tyres, it is your job to get them for him at good prices, which of course have your own little commission factored in. It is also your responsibility to recommend all other things that will make your customer to enjoy his car. CAVEAT. Do not deal in rickety cars, they do not fetch much and besides they take useful space. Do not rip those who give you cars to sell. Be satisfied with the agreed commission or agreed price.